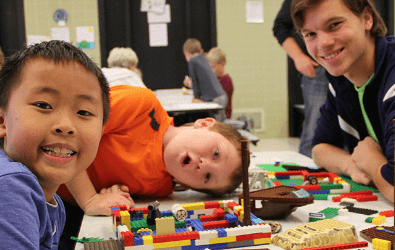 Anoka-Hennepin Community Education now offers online registration for Adventures Plus school-age care, Early Childhood Family Education (ECFE) and preschool programs. 2018-19 school-year care through Adventures Plus at Anoka-Hennepin elementary schools. 2018 summer care through Adventures Plus at some elementary and middle schools. 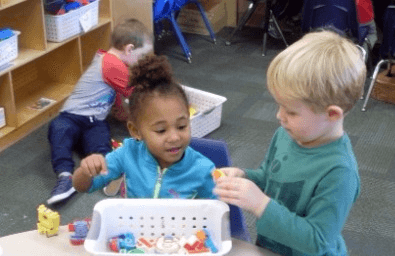 2018-19 school year preschool through Anoka-Hennepin Schools. 2018 summer Early Childhood Family Education (ECFE) classes, activities and programs. Adventures Plus is the Anoka-Hennepin School District school-age care program, offered to all families in the school district and provided at each elementary school. Care is available before- and after-school, and on non-school days which include winter, spring and summer breaks. Registration for the 2018-19 school year and Summer 2018 is Mar. 5-16, 2018, for families currently enrolled in the program. New families may begin registration Mar. 19, 2018. Online registration is managed on this website. View registration materials and tip sheets at www.ahschools.us/adventuresplus. Registrations are accepted until classes are full. For assistance with registration, visit ECFE Registration Frequently Asked Questions. Anoka-Hennepin Community Education offers preschool classes, which prepare children for kindergarten. Our preschool curriculum is aligned with the district kindergarten curriculum. Licensed teachers monitor child progress and development throughout the school year. Registration for the 2019-20 school year will begin in February, 2019 - watch more more details. Participants may register for the following programs on an alternate registration website. Click the program links below to learn more, browse current offerings and register online, or visit the general Anoka-Hennepin Community Education website. Adults with special needs programs (Project Power) Specialized classes are available for adults with special needs ages 18 and up. Educational, recreational and social activities give participants the opportunity to practice life skills to increase independence, communication, and community integration. Community Education offers swimming lessons, water exercise, competitive swim, American Red Cross CPR/AED/First Aid courses, babysitter training, adult swimming lessons, and more. Fun recreational, athletic and enrichment activities and classes for children 18 months - six years of age and their families. Activities and classes are scheduled at elementary schools and off-site locations during the evening, weekend and summer.